Hang in here with me: I will pull all the following together. I promise. A back-forth day trip up I-65 to Chicago yesterday. The interesting aspect of it is–why. The following is a semi-insiders’ joke that will make sense only to a). certain mental health professionals who b). have read the Harry Potter series. So, you ask: where was I yesterday? Dining with Death Eaters at Malfoy Mansion, my arm burning the whole time. In other words, I was at the Palmer House in Chicago at . . . the annual convention of the American Psychoanalytic Association. I will not bore you, dear reader, with the ins and outs of the joke. Just suffice it to say: some of you may still think that psychoanalysis is synonymous with psychiatry, psychology, and other mental health disciplines. b. paroxysms of righteous indignation that such oppressive pseudoscience is still allowed to exist on the planet any more. I will also not bore you with the squabbles of my profession. Let me say only this: after my experiences at the meeting, I thought of a patient. I have known him for quite a few months. He travels a ways to get to our hospital. He is a combat veteran from the current conflict. He once struggled with opiate dependence. He is now doing quite well on Suboxone. He also once struggled with severe PTSD symptoms, especially marked, reactive emotional lability. He participated actively in the PTSD-treatment programs at his local VA facility. He worked with an individual therapist using current, evidence-based treatment methods, and he has long been part of an ongoing support group run by a mental health professional. He has found his treatment to be helpful. He feels better about himself and his world. Last week, however, after I asked him how he was doing, he reported that he’d had a difficult several weeks with a recurrence of some symptoms, although thankfully in no way to the extent he had previously endured them. I knew that he’d taken a break from his group at one point, but he told me he was now going back. He had also told me that he’d wished that he could have had access more regularly to individual sessions with a therapist. That, however, has not been possible in his case, as he has completed the PTSD treatment course offered at his facility. Certainly no one was saying that he could not come back to speak with anyone, but the veteran did report that, at least in his view, the treaters implied that there was little else they could do for him unless he had a very specific problem to be addressed and solved in a focused manner. We live in challenging times, at DoD, at the VA, in the community, in the nation. A lot of men and women are suffering, and there are not enough qualified individuals available in many parts of the country to meet even the most pressing, short-term emotional needs of combat veterans. 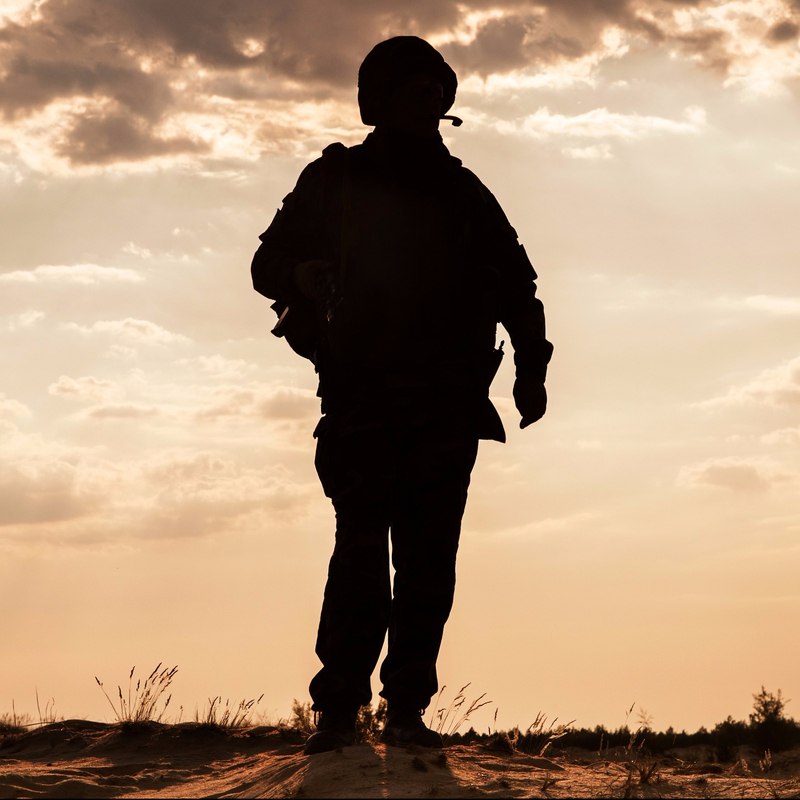 If you’ve had any contact with the news, no matter the time of day, over the past few weeks, you are more than well-aware of the suicide epidemic being faced by both active military and by veterans. We’ve got problems right now. So why this talk of long-haul? You should understand: many, many modern mental health professionals feel quite strongly that long-term, regular contact with patients disempowers them, promotes an unhealthy dependency, prevents patients from growing up and facing the need–and the privilege–of finding their own solutions to their problems. Mutual aid in self-help groups? That’s OK, for that is mutual empowerment. But professionals must stay focused, focused, focused on the well-defined and the self-limited. In fact, everyone seems to have his or her own favorite Woody Allen-esque story to tell about the patient in therapy for thirty years, only finally to meet a therapist who speaks the clear truth of the well-defined task and thus who finally helps usher in for the patient the relief that the patient had never thought could be available for the claiming. I sometimes find myself wondering whether some therapist training programs require their graduates to have at least three such stories to be trotted out at will in order for the trainee to get his or her sheepskin. Weirdest thing, though: my eldest just finished her freshman year of college. She had a great year on her own, and believe you me, girlfriend was empowered! So, you know, I had never thought that her mother’s and my willingness to provide her as many opportunities as she would desire to come speak to us merely from her heart was somehow disempowering her. Her mother and I have good lives. We have established ourselves well, and we do not need her to fill holes in our psyches. We enjoy her successes without any minimal-contact requirements on her part. More and more we are speaking with her as equals, sharing of our lives with the sole goal of her choosing what of our thoughts she wishes to consider, what of our alternatives she wishes to take. Our door is always open to her whenever she wishes to enter it. She needn’t appear weak to speak with us, nor does she need to hide her competence and her successes. Neither does she have to hide her weaknesses from us, just as we do not need to claim that we are without weaknesses of our own. In other words, we’re in it for the long haul, and we’re in it for the long haul for her. She can come to us confident. She can come to us confused. She can come to us invigorated. She can come to us exhausted. She can not come to us at all if/when she does not wish. Whatever it is, we’ll make it work. I don’t know, maybe I’m a naive dreamer, but . . . isn’t that precisely where a good therapist would hope to end up with a patient, in a relationship that can be open over time, in which the challenges of life can be discussed safely, even if just periodically, even if there is not a particular behavioral objective to achieve? That disempowers the patient how? And just as my wife and I don’t demand that our daughter justify her desire to connect with us both as a peer and as one-who-needs, I need to require my patient to justify his or her desire to connect with me why? And just as my wife and/or I can at times loom larger than life in our daughter’s experience, while at other times seem nothing more than fellow travelers with her on this earth, I harm my patient when he or she feels the same about me because . . .? That’s where the Death Eaters come in. People freak out these days when they hear the word psychoanalysis, imagining the worried, upper-class victim of ennui, carrying out years of whining and complaining on a leather couch with some old dude fast asleep in the chair behind. But that’s not what I think of when I hear the word. When I hear the word I think of a complicated set of ideas, always controversial, yet also always embedded in a basic notion that connections over time matter, that the words we use are important and telling in and of themselves, that we cannot hide from our aggressiveness, while we also cannot hide from our capacity to love. I think of two presentations I attended yesterday, one honoring Dr. Elvin Semrad, a psychiatrist and psychoanalyst from Boston in the mid-twentieth century who taught my teachers that our jobs as therapists is to help our patients “acknowledge, bear, and put their feelings into perspective,” an ideal that my teachers taught me, an ideal that I try to live daily with the men and women who bravely come into my office. Or I think of a presentation by Dr. Russell B. Carr, a Navy psychiatrist who has deployed to the Middle East and who struggled to find a way to help the men and women there cope with the demons that were haunting even in the combat theater, a medical officer who turned to a psychoanalytic theory called intersubjectivity that allowed him to understand what it means to bear trauma in one’s body, allowed him to understand what it means for he himself to bear his own wounds of explosions and death, permitted him to feel that by simply taking seriously the development of his relationships with a particular a soldier or a Marine, he was able to connect in a deep way with these men and women, not after ten-some odd years of psychoanalysis, but after only a few meetings, offered genuinely in the spirit of one person trying to aid another and thus, in a way, aid himself. I think of how something can happen between two people who are taking one person’s pain as seriously as both can: that the very fact of trying to make sense and “acknowledge, bear, and put in perspective together,” whether that time is short or long, can make the difference that will interject the human and the humane into the manualized and the efficient. I don’t know what to say: I’m hearing veterans over and over and over again, in my office, in the blogosphere, on social media, asking the same question: “Are you, mental health professional, going to stick with me for as long as it takes? If life becomes more complex than your treatment manual can bear, are you going to be there, just to remind me that someone outside my immediate circle can actually care about whether I not only live or breathe, but whether I live or breathe well? “Does anyone understand that what I’m struggling to do after I’ve seen all this death, after, perhaps, I’ve helped cause all this death, is simply try to connect to life again, try to decide to live even when I doubt the wisdom of that? Does anyone understand that while I am glad that some, maybe many of my brothers and sisters find the way to “move on,” I might not be able to so easily? Do I have to justify my pain to justify your presence, therapist? I’m not so sure. I’m sorry, men and women who have been willing to give so much because you believe in honor and duty and faithfulness. I’m so sorry. I’m just not so sure.